This puppy paw print dog collar charm is stamped into a silver metal form. There is a sturdy spring clasp for attaching to your pets collar. 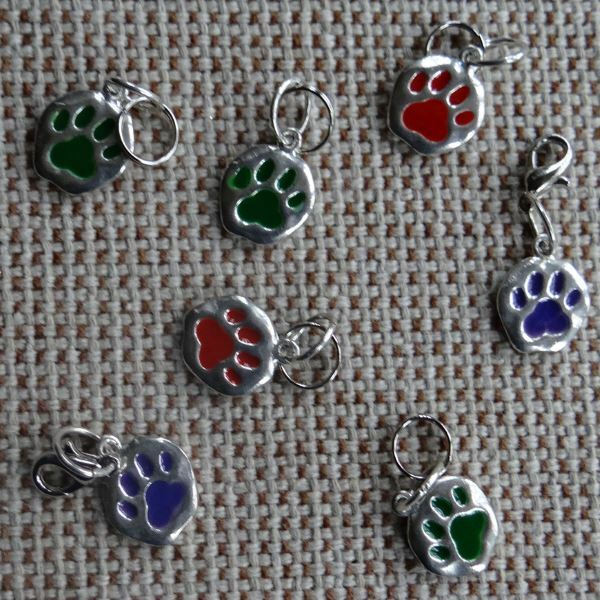 The puppy paw print dog collar charm is offered a color choice, subject to availability. Listing is for one individual charm.